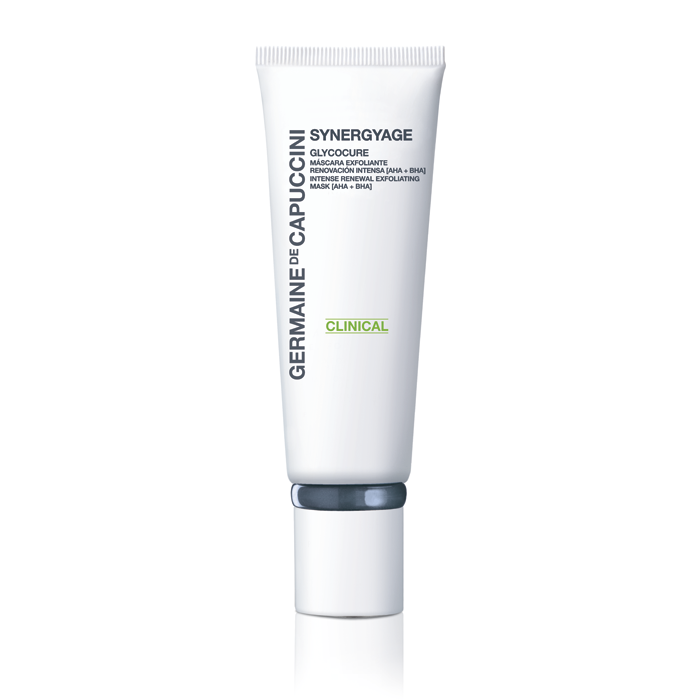 An intensive renewing mask with Glycolic Acid to renew the skin whilst improving pigmentation, wrinkles and chronic dryness. It exfoliates deeply and helps the skin to renew. The mask has a gel texture that bases its action on a unique exfoliating complex: three AHA's (alpha hydroxy acids), one BHA (beta hydroxy acid) and one physical exfoliant. 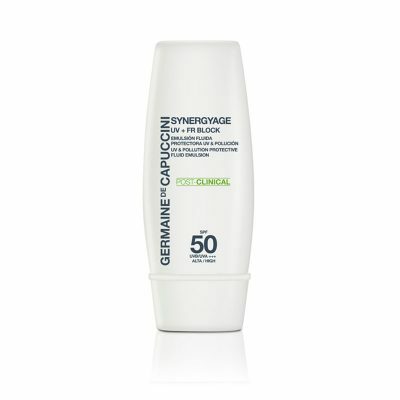 They, together, provide a deep exfoliation of the stratum corneum, which improves skin hyperkeratinisation and renewal. A visible change in skin tone, texture and hydration can be noticed from ghe very first use. Skin feels smoother, more healthy and revitalised. Imperfections are reduced. 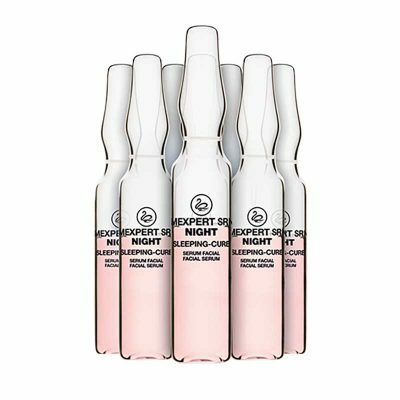 Use once weekly - for maximum results, combine with the Glycocure Hydro Texture Booster Concentrate - a serum concentrate with a light and creamy texture that complements its cell renewal function with an anti-ageing, hydrating and restoring action. Otherwise – gently rub using your fingertips and the mask ‘peels’ away in small pieces giving a really thorough exfoliation, then complete using a damp warm face cloth. Linalool, Citronellol, Hexyl Cinnamal, Limonene, Geraniol. Enjoyed this mask very much. My skin felt very clean and refreshed after using it. A really good quality product that makes my skin feel soft and smooth. Love how my skin feels and looks. Compliments on my glow! Love this product! Helps with my large pores and also smooths out my fine lines. Fantastic product keeps by face smooth and clear. The Glycocure Mask is an intensive renewing and exfoliating treatment based mask and would not provide a quick fix solution, but should be viewed as part of a good skincare regime. Coming out in some spots after a good mask treatment is your skin’s way of purging toxins and impurities – which is a good thing. Your routine needs to continue with a good cleanse and tone, morning and evening, plus an application of the right moisturiser for your skin type. We would be pleased to help you with a good skincare routine and suggest what would be best for your age, skin type and to specifically address the concerns you have. Please do get in touch and we will be happy to help you fully.